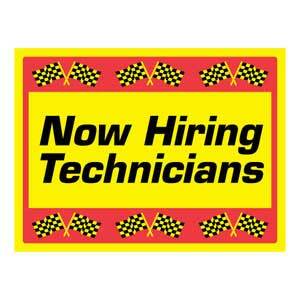 German Auto Technician Mechanic Job South Fl. German Car Depot is one of the best reviewed and best Independent auto repair shops in South Florida, servicing exclusively German Vehicles. Audi, BMW, Mini, Mercedes-Benz, Volkswagen and Porsche vehicles. Join a proven German repair facility in business for over 26 years with no limitations on how far you can grow! We are seeking an ASE Certified Auto Technician / Mechanics (ASE L 1 preferred) to join our dedicated team. We are currently seeking Auto Technicians – Mechanics with Strong diagnostic experience, who are trained on 2006 and newer vehicles. BMW Technician / Mechanics for Audi, BMW, Mini, Mercedes-Benz, Porsche and VW vehicles. Earn $30 plus per hour + Benefits. Busy Euro shop specializing in German vehicles in South FL for over 25 years. Understand the use of VAG-VAS 5052, Ross Tech, Autologic, Autel, Ross-Tech, EPC-net, ODIS, WIS-net Hardware, ISTA, ISTA/P and Snap On as well as Diagnostic scan tools. Be willing to take training courses on the latest technology being used in modern day cars. Bosch Auto Center. Auto Technician/Mechanic Jobs South FL. We prefer factory-trained technicians but are willing to make allowances for Technicians with verifiable extensive experience and knowledge of late model German vehicles. We offer 2 lifts per tech and have a low-pressure family atmosphere. A positive attitude and a commitment to complete customer satisfaction are necessary! Compensation is based on experience and ability. With our Performance-Based Pay Plan, a talented Technician / Mechanic can expect to earn $30 plus per hour. If you have the skills we are looking for, German Car Depot will meet or beat your current new car dealership salary without the headache of working for a franchised dealer. This is a Full-time position with a 5-day workweek. Diagnose, repair and service vehicles in accordance with factory standards.